Activision have today unveiled the next evolution in the role of virtual pet games, as they are set to release Wappy Dog later this year for Nintendo DS. 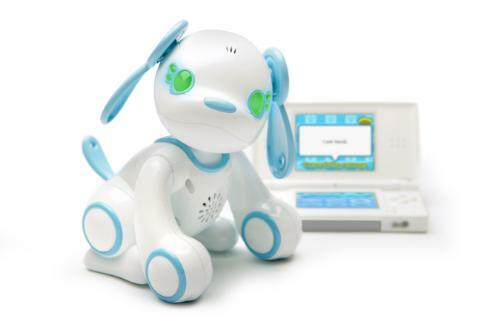 Wappy Dog involves a toy puppy that interacts with the Nintendo DS system and will teach young gamers to raise them in both the real and virtual worlds, as you teach them tricks, play mini-games together and even converse! Your pet’s personality, skills and happiness will continually evolve depending on how you interact with them. Players will be able to choose between “Home Mode” that allows them to engage with Wappy Dog through the Nintendo DS, or “Travel Mode” which gives on-the-go players a chance to continue caring for and playing with their pet virtually without the physical dog. Once the player returns home, their dog’s progress will then When the player returns home, their dog’s progress instantly transfers to the toy as if they’ve never been apart.